April is Heartworm Month, and both indoor and outdoor cats get heartworm. While it is difficult to diagnose, heartworm is incurable and can be fatal. But unlike many diseases, it is very preventable. In cats, heartworm most often affects the respiratory system. In our canine friends, heartworm strikes the heart. Many types of worms affect cats. Most often, we think of round worms, ring worms or tape worms in the intestines. However, there’s also heartworm, lung worm, and probably more. 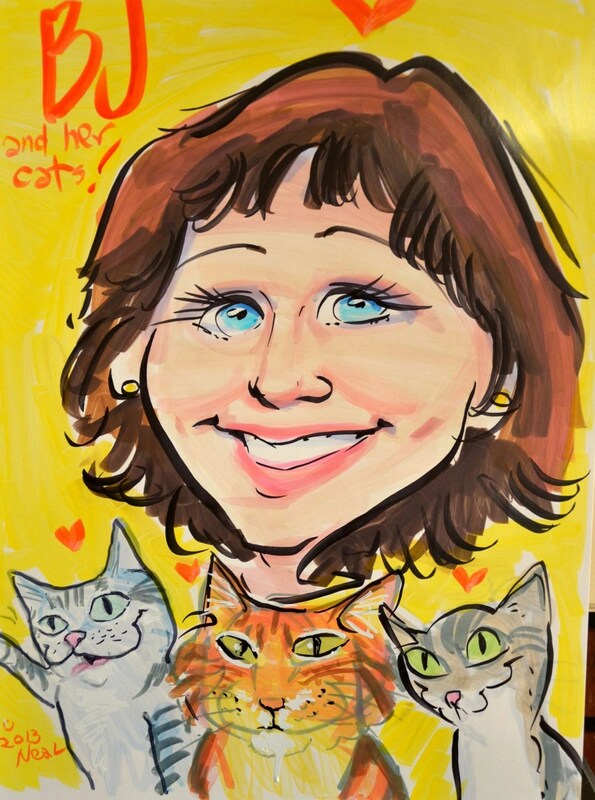 If one cat had heartworm, how could we protect the other 4 felines from contracting this potentially fatal disease? 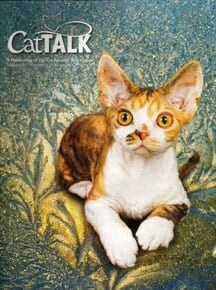 At home, Paws started to learn more about this not so well-known disease in cats. According to the Federal Drug Administration (FDA), this serious disease results in severe lung disease, heart failure, and other organ damage. While most common in dogs, it also affects cats, ferrets, wolves, coyotes, and even an occasional human. It is caused by a parasitic worm called Dirofilaria immitis and spread through a mosquito bite. Cats can get heartworms after being bitten by an infected mosquito. However, a cat is considered a resistant host of heartworms because the worms do not thrive as well inside a cat’s body. Keeping kitty inside may decrease the risk of heartworms, but it does not prevent it. 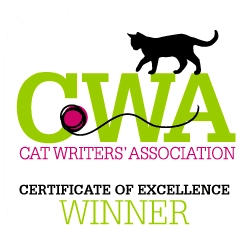 The American Heartworm Society cites a study in which 25% of the cats that tested positive for heartworms were considered to be indoor cats. While infected dogs may have 30 or more worms in their heart and lungs, cats usually have 6 or fewer, and may have just one or two. While the severity of heartworm disease in dogs is related to the number of worms, in cats, just 1 or 2 worms can make a cat very ill. In cats, the FDA says heartworms do not live as long (the average lifespan is only 2 to 3 years). Fewer heartworms mature into adults. Many cats are able to spontaneously rid themselves of heartworms without showing symptoms. Others die suddenly from without ever showing signs of being sick. Respiratory, not cardiac, issues are the most common symptom of the disease, due to the lung damage caused by the heartworms. Cats typically show symptoms of heartworm disease at two times – when the immature heartworms arrive in the heart and lung arteries and when the adult heartworms die. It’s not easy to detect heartworm in cats,/li>We ask why is it harder to detect them? According to the FDA, ‘In cats, it takes infective larvae 8 months to mature into adult heartworms and produce microfilariae. This is about one month longer than in dogs. And the presence of microfilariae in a cat’s bloodstream is uncommon, with only 20 percent of cats with heartworm having microfilariae in the bloodstream, compared to 80 to 90 percent of dogs with the disease. The presence of microfilariae in the bloodstream is also inconsistent and short-lived in cats.’ Therefore, it is much harder to detect heartworm infections in cats. 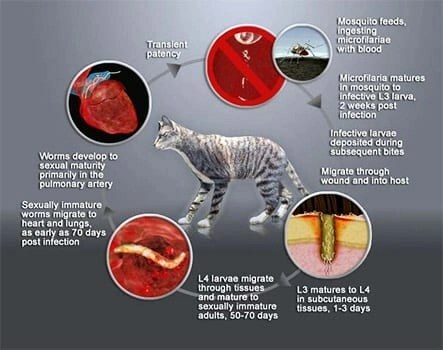 According to the FDA, the immature heartworms arrive in the heart and lung arteries about 3 to 6 months after a cat has been bitten by an infected mosquito. Many of these immature heartworms die, causing a strong inflammatory response in the cat’s lungs. This response is called heartworm associated respiratory disease (HARD). Cats can experience trouble breathing, an increased respiratory rate, and cough, It can be difficult to distinguish HARD from feline asthma or feline bronchitis. This is why the veterinarian thought there might be a possibility that Paws had heartworm. According to the American Heartworm Association, cats get heartworm and the heartworms in the circulatory system also affect the cat’s immune system, causing symptoms such as coughing, wheezing and difficulty breathing. Heartworms in cats may even migrate to other parts of the body, such as the brain, eye and spinal cord. Severe complications such as blood clots in the lungs and lung inflammation can result when the adult worms die in the cat’s body. Cats get heartworm and when the adult heartworms die, they release toxins into the cat’s bloodstream which cause lung damage, leading to respiratory problems or sudden death. Even the death of one worm can be fatal for a cat. Cats may also have nonspecific symptoms, like vomiting, decreased appetite, lethargy and weight loss, that mimic many other cat diseases. Cats rarely show signs of heart failure which is common in dogs. There is no approved drug therapy for heartworm infection in cats, and the drug used to treat infections in dogs is not safe for cats. However, cats with heartworm disease can often be helped with good veterinary care that can stabilize the cat and develop a long-term management plan. There is no FDA-approved drug for the treatment of heartworm disease in cats, although symptoms may be managed with medications. Surgical removal of adult heartworms may be an option if the heartworms can be seen by ultrasound. But surgery is risky, and if the heartworms are not removed intact, there can be potentially serious complications, such as shock and death. Should Cats Be Tested For Heartworms? It is recommended that cats older than 6 to 7 months of age be tested for heartworms before starting heartworm prevention. Consult with your veterinarian about the test. However, finding a reliable test can be tricky. This helps the veterinarian to better understand the stage of infection. Idexx Laboratories has developed a SNAP Feline Heartworm Antigen Test Kit SNAP is an enzyme immunoassay. According to their website, ‘the conjugate and the test sample are mixed and added to the SNAP device which is then activated, releasing reagents stored within the device. Color development in high and low antigen indicators is proportional to D. immitis antigen in the sample’. That’s the test that 2 of my cats just had when they went for their routine wellness veterinarian visit/. Heartguard For Cats (oral ivermectin) – Never use Heartguard tablets for dogs. Even if your cat weighs the same as the dog it will not be effective in your cat. That is because the amount of ivermectin needed to prevent heartworms in cats is about 4 times as much as required to protect dogs. Heartgard comes in a flavored chewable tablet. Interceptor (milbemycin oxime) – Interceptor also makes a monthly chewable tablet for cats with the same active ingredient (milbemycin oxime) as Interceptor for dogs. Revolution (sellemectin,topical) – Pfizer Pharma’s Revolution kills a number of parasites including heartworm larva, and prevents fleas, ear mites and a number of intestinal parasites. Advantage Multi aka Advocate for Cats (imidacloprid and moxidectin) – Produced by Bayer Pharma to compete with Revolution, Advantage Multi is a product which combines imidacloprid for flea control and moxidectin for heartworm prevention in one product. It is relatively new on the market. Have you had your cat tested for heartworm disease? Is your cat on a heartworm preventative? Do you know any cats that have had heartworm? Weigh in and share your thoughts and comments. Thank you for this informative article. Prevention is defiantly key. It’s a subject we definitely need to bring more attention to because it’s not just for dogs. Interesting info. 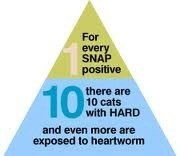 I did not know that cats could be so affected by heartworms. Excellent post. I am definitely going with Revolution this year for fleas and the added bonus of heartworm protection even though my kitties are indoors. That’s a great idea. I made the change to Revolution last year. Even though there are ticks around here, the chances of a cat letting ticks stay on them are slim, but as for parasites, that’s a whole other story.